Going through a divorce? We’re committed to helping San Jose families obtain peace of mind. Don’t let a contentious divorce dampen your future. After all, a brighter tomorrow is just a phone call away. There’s no shame in needing a little extra help. Contact attorney Arthur A. Ferraro for more information. Family law issues are difficult, especially when children are involved. Protect those you love most. 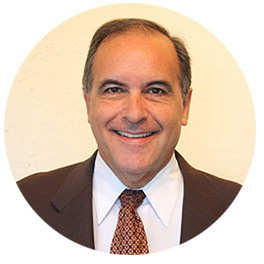 With more than 35 years’ experience, attorney Arthur A. Ferraro is San Jose’s premier advocate for Santa Clara families. In addition to helping countless families over the years, Arthur also provides exemplary real estate law, business law and personal injury services. No matter your situation, you deserve high-quality legal counsel to get you through life’s challenges. Contact the trusted team at Arthur A. Ferraro Attorney at Law today to get started. Whether your case involves an auto accident, easement dispute or civil litigation matter, attorney Arthur A. Ferraro knows what it takes to help you obtain a favorable outcome. Having represented San Jose residents for over three decades, Arthur offers extensive experience in business law, real estate law and personal injury matters. Contact Arthur A. Ferraro Attorney at Law now to take advantage of our trusted services.